We are looking for a gifted and experienced administrator to join our team, co-ordinating the day-to-day operations of the church. ​As a faith-based o​rganisation, our beliefs are foundational to everything we do and the post-holder will be expected to share these beliefs, and work actively to support our ministry, mission and vision, preferably joining in the spiritual life of the church. You will be the contact point for the church office, managing finances, planning and running the day to day processes and operations. You will play a pivotal role in communications, the first point of contact for enquiries and a key face and voice of the church to the wider community. You will co-ordinate outward communications including the church website, social media, the weekly newsletter and regular publications such as welcome packs and Life Group brochures. ​You will also support the Buildings Manager, overseeing the building maintenance, equipment and insurance requirements. With confidence and proven organisational, financial, communication and interpersonal skills, you will be comfortable working in a busy and ever changing environment where multi-tasking, sound decision making, self-motivation, discretion and professionalism are essential. 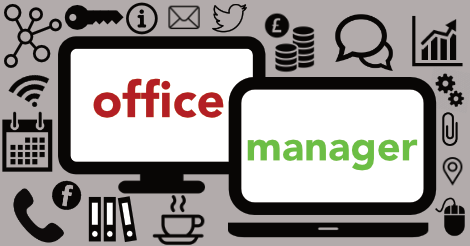 Strong working experience of MS Office and the ability to learn new systems quickly is essential for the role and website development would be an advantage. 15 hours per week with flexibility to discuss a term time only arrangement. 38 days annual leave pro-rata, which includes 8 Bank holidays. Distribution of working hours per day can be agreed (although you will be expected to work four hours on a Friday to prepare for the weekend activities). Some flexibility of hours may be required to attend occasional evening or weekend meetings. To apply for this job, please email us your CV including at least 2 references and a covering letter explaining how your skills and experience fit the role. Please see full job description – here. ​if you would like more information.